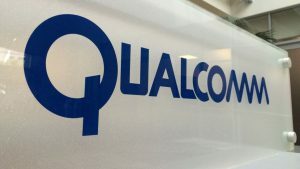 A federal judge in Northern California has denied a motion put forward by Qualcomm which called for the dismissal of an antitrust lawsuit that had been filed by the Federal Trade Commission. This will effectively ensure that the case will proceed. In the antitrust lawsuit Qualcomm is accused of abusing its industry position by charging phone manufacturers high royalties. It has also been accused of plotting to weaken the competition. Qualcomm had argued for the dismissal of the lawsuit on the grounds that it didn’t demonstrate how Qualcomm had harmed the smartphone sector and that the legal theory on which it was based on was flawed. In her ruling Judge Lucy Koh wrote in favor of the case proceeding while arguing that the Federal Trade Commission had comprehensively asserted Qualcomm’s anti-competitive conduct in the way the chipmaker licenses its patents. While the date of the trial has not been set, the lawsuit will be heard in a federal courtroom in Northern California. Though not unexpected, the ruling comes as a loss for Qualcomm. Motions asking for dismissals rarely pass and a couple of tech firms such as Intel and Samsung had filed their own motions in support of the Federal Trade Commission. After the ruling Qualcomm argued that the decision by Judge Koh was based on early stage legal standards. “We look forward to further proceedings in which we will be able to develop a more accurate factual record and the FTC will have the burden to prove its claims,” said the general counsel of Qualcomm, Don Rosenberg, in a press release. Among the three commissioners in the FTC one of them, Maureen Ohlhausen, dissented arguing that it was not necessary to have the complaint looked into by a federal district court. Ohlhausen has subsequently been appointed as the acting chairperson of the Federal Trade Commission. Prior to the action taken by the FTC, the anti-monopoly regulator in South Korea had fined the chipmaker over $850 million over similar allegations. Qualcomm has since then filed an appeal. Besides the Federal Trade Commission, Qualcomm has also been sued by Apple for overcharging on licenses. The case, which Qualcomm had also tried to quash, is currently pending in a San Diego federal court. Currently Qualcomm charges about 5% of the price of a device in patent fees. In the case of the iPhone Apple pays about $10 for every device it sells to Qualcomm after volume discounts.